One of the first things I saw this morning was the great Edutopia and SoulPancake collaboration, "If I Knew Then: A Letter to Me on My First Day of Teaching." 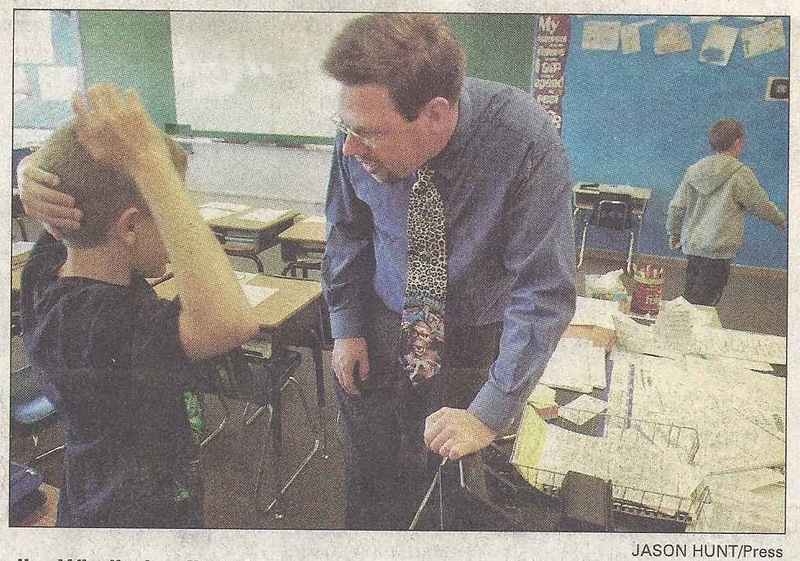 It made me think back to my first days in the classroom. Man, they were rough! There were so many things I could have done better. What would I be able to tell myself? I knew I had to give it a try. I don't know if you realize what you've gotten yourself into. You are in for a challenge! Being a teacher is more difficult than you imagined. Each of the 30 students who will walk through that door later today is an individual: a complicated, growing, and changing individual who is colored by all of the triumphs and disappointments he or she has experienced in the last ten years. It is your responsibility to determine how to reach each of these students and help him or her learn and grow this year. Right now, that is an abstract concept, but it will become more real to you each and every day you spend in this classroom. Here's my biggest piece of advice for you: be yourself! Your students are ready to connect with that guy who loves the Muppets, brings his tuba to school, and is always cracking jokes. That isn't their idea of how a teacher acts, but they will love you for being genuine. I know right now you want to play the role of a confident, veteran teacher because you're scared to make mistakes. You are going to encourage your students to learn from the mistakes they make - give yourself permission to do the same. There will be times when it feels like the other teachers working here have your back and there will be times when you feel isolated and alone. Don't let the ideas in this building limit what you can do. Reach out to teachers in other places, listen to their ideas, and use the ones that work for you. Maybe you can find a community of like-minded educators on-line (that will be all the rage in about ten years using something called Twitter - try it as soon as it becomes available). If you can honestly say that the things you are doing will help the kids in your class grow and improve, you are doing the right thing. Don't let others' negativity get to you. participate this year because you refuse to believe his Asperger's diagnosis means that he should spend the whole day drawing and playing games on the Internet. Karen is going to find her voice in your classroom. In fact, by the end of the year you'll have to stop her from turning everything into a classroom debate. In a few years, she'll proudly tell you that she received a full-ride scholarship to college and a coveted position on her school newspaper. And she'll thank you for all the encouragement you gave her in fifth grade. You'll survive each day. Over time, you'll move from surviving to thriving! Someday, you'll be seeing your former students every time you go to the grocery store. Many of them will be able to tell you about amazing things they've done since being in your class. Others will be having a tough time. But they will all be happy to see you and each one will remind you of something great that happened in your classroom. That bell is about to ring. Go meet your first class. You've got the first day of school ahead of you. For that matter, you have years of teaching ahead of you. Just remember, you will keep improving as long as you make it a point to experiment and refine.